A pot experiment was performed to assess the effect of proline as seed treatment on maize (Zea mays L.) under salt stress. Seeds of maize cultivar (cv.) Safaid Afgoi were soaked in different proline solutions (0.0, 0.5, 1.0, 1.5, and 2.0 mM) for 12 hours. Salt treatment (0 and 75 mM NaCl) was applied to one week old maize seedlings. Data was taken of 21 day old maize plants for the determination of different growth and physiochemical parameters. Salt stress inhibited most of the growth attributes and decreased ratio of chlorophyll a to chl. b, while increased chl. b and total soluble proteins and malondialdehyde (MDA) contents in maize plants. Seed treatment with proline increased shoot length significantly and chlorophyll a non-significantly, while all other attributes remained unaffected of maize plants under salt stress. In conclusion, proline show differential response in increasing growth by regulating different physiochemical parameters not only in different plant species but also under diverse environmental conditions. Almond trees are very sensitive to salinity, and saline water is the only alternative for irrigation in many semiarid regions. Thus, the use of salt-tolerant rootstocks may allow an economically-feasible yield under saline irrigation. In this study, we evaluated the effects of chloride salts on plant secondary metabolites in red- and green-leaf almond biotypes to improve salt tolerance. one-year-old rooted cuttings of Bitter Almond (BA) and Garnem (GN15) rootstock seedlings were cultivated for 3 weeks under low-salinity water (control), or exposed to irrigation with CaCl2 (10mM), KCl (10mM), and NaCl (75 mM), alone and in combination, for 4 weeks. In green leaves of BA, the supplementation of NaCl solutions with CaCl2 significantly increased anthocyanin, petunidin, and polyphenol concentration, indicating a possible involvement of these compounds in cell osmoregulation. In GN15 rootstock, spermidine increased significantly from control when CaCl2 was added to control irrigation. However, the highest and most significant increase in both spermidine and putrescine in GN15 was caused by NaCl alone. The significant increase in polyamines, between control to NaCl treatment, in GN15 but not in BA rootstock, and the drop in antioxidant capacity in BA, but not in GN15, across treatments, suggest that GN15 may be more salt-tolerant than BA. Although the addition of CaCl2 or KCl may not have any benefit in mitigating salinity in almond rootstocks, spermidine and putrescine may have a role in helping almond rootstocks cope with salinity. In order to study the effect of cadmium (Cd)-added on citrus growth under selenite or selenomethionine (SeMet)-enriched soil, the concentration of leaf pigments, H2O2, antioxidants and antioxidases in ascorbate glutathione (AsA-GSH) cycles were detected in ‘Daya’ citrus seedlings (Citrus sinensis L.). The results showed that chlorophyll a, b, and a+b were significantly enhanced by cadmium-added under SeMet-enriched treatment, while leaf pigments showed little influence cadmium under selenite-enriched treatment. Meanwhile, cadmium-added significantly increased H2O2 concentration under both selenite and SeMet-enriched soils. In AsA-GSH cycle, the concentration of AsA, dehydroascorbate (DHA), and AsA/(AsA+DHA) ratio were increased, while the levels of GSH, oxidized glutathione (GSSG), and GSH/(GSH+GSSG) were decreased by cadmium-added under selenite or SeMet-enriched soil. Meanwhile, the activities of ascorbate peroxidase (APX), monodehydroascorbate reductase (DHAR), and glutathione reductase (GR) increased, and the activities of glutathione peroxidase (GPX) decreased under selenite or SeMet-enriched soil with cadmium-added. Our results indicated that despite cadmium-added had positive effects on chlorophyll concentrations under Se-enriched soil, leaf was injured by increased H2O2 concentration. Furthermore, the AsA-GSH cycle efficiency was increased to defend cadmium stress under two selenium types-enriched soils. Irrigation practices have imposed the salinity stress in cultivated areas which resultantly inhibiting the crop productivity. Chickpea is also being grown under versatile environmental conditions across the region. Stability of the genotypic performance across different environments is indicator of tolerance against subjected stress. In current research experiment, agronomic and biological stability of chickpea genotypes was evaluated against different artificial saline environments. GGE biplot analysis was used for identification of stable performance of chickpea genotypes based on morphometric, physiological and biochemical markers. Chickpea genotypes were found to be negatively affected by salinity stress at early growth stages but magnitude of responses was different across the genotypes which have indicated the differential levels of genotype into environment interactions. Genotype 6009 was found biologically stable for chlorophyll contents, relative water contents and growth related parameters while genotype 6003 was biologically stable for relative water contents, Na+ concentration, K+ concentration and growth related traits. Venhar-2000, Bital-98 and Noor-2009 showed agronomic stability and recommended for further progression, manipulation and improvisation against salinity stress for better productivity. Salinity is one of the major constraints that impair plant growth and ultimately limits crop productivity. Growing salt-tolerant crops is thought to be an efficient strategy to make use of the saline land. Pumpkin (Cucurbita moschata) is an economically important and worldwide cultivated vegetable. EMS (ethyl methanesulfonate), as a mutagenic agent, has been widely used to increase genetic variability in crop breeding. In this study, we designed a screen of NaCl-tolerant mutants induced by EMS in Cucurbita moschata. Two NaCl-tolerant mutants were screened under NaCl stress and further identified using physiological and biochemical parameters. As the result of genetic analysis, we deduced that the NaCl-tolerant mutant phenotype was controlled by QTLs. This research provides the protocol of mutant screening and new sources for salt-tolerant cultivar breeding in pumpkin. The mutants can also be used to better understand the salt-tolerance mechanism in plants. Drought is a critical limiting factor of plant growth, and plants living in arid areas must develop adaptation mechanisms to resist drought stress. In this study, we studied the drought resistance mechanisms of two tree species, Triadica rotundifolia and Cinnamomum burmannii, based on their foliar physiological and anatomical characteristics. These trees are indicator plants in the limestone region of southern China. We evaluated and compared the changes in the contents of chlorophyll, soluble protein, soluble sugars, proline, malondialdehyde (MDA), proline, activity of superoxide dismutase (SOD) and peroxidase (POD), chlorophyll fluorescence parameters, and leaf anatomical structure between these two species. The results showed the following. (1) The content of Chla+b, soluble protein, soluble sugar and SOD activity of the two species’ seedlings had an increasing trend at first and then a decrease over the entire drought experiment. The change in MDA content was more sensitive in T. rotundifolia, and the peak (33.05 mmol·ml-1) appeared on the 28th day of the drought experiment. Comparatively, the proline content and POD activity were more sensitive in C. burmannii, and the proline peak (217.11 μg·g-1) appeared on the 24th day. (2) Under the continuous drought stress, the electron transport rate of the seedlings decreased, whereas the non-photochemical quenching showed different trends for the different species. Severe drought stress in T. rotundifolia caused an increasing trend in the light energy capture efficiency (Fv/Fm), while it declined continuously in C. burmannii. (3) Under the drought stress, the leaves of T. rotundifolia became thicker. The arrangement of spongy tissues became loose, and the ratio of palisade to spongy tissue decreased. However, the leaves of C. burmannii showed a few different features, such as inconspicuous differentiation between palisade and spongy tissues, a high loose degree of leaves, and low packing. 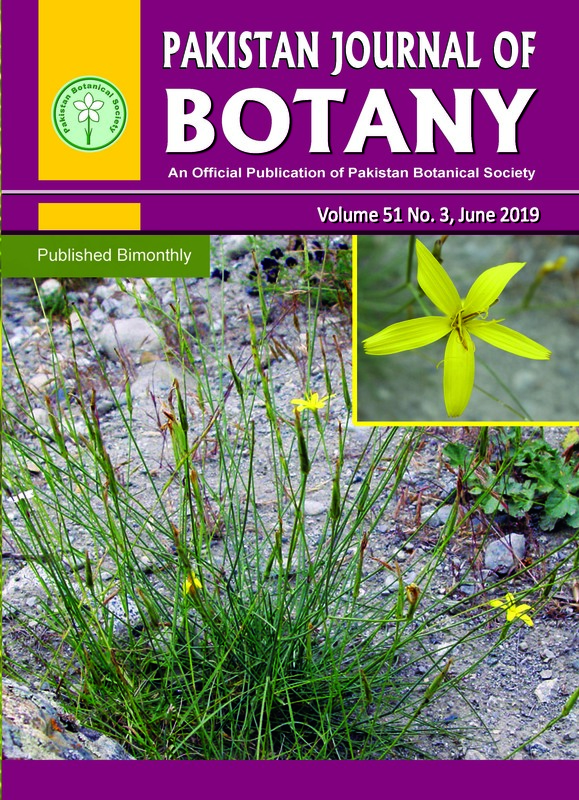 (4) The leaf physiological indices had a strong relationship with the anatomy characteristics, as revealed by principal component analysis (PCA); the adaptability to drought tolerance of T. rotundifolia was stronger than C. burmannii. In conclusion, T. rotundifolia is better able to adapt to drought conditions due to its physiological and anatomical characteristics, which allow the species to better buffer drought-induced physiological responses and variability in leaf structure. Maize yield is very low in Khyber Pakhtunkhwa compared to Punjab-Pakistan and advance countries of the world. Weed and improper nutrients is one of the reason for low yield. Field study was carried out for the management of weeds and nutrients (Nitrogen) in 2014 and was repeated in 2015. An open pollinated maize variety “Azam” was used in the experiment. Four nitrogen levels (N0=0, N1=100, N2=150, and N3=200 kg ha-1) and seven weed periods (W0=Weed free throughout season, W1=15 DAS (days after sowing), W2=30 DAS, W3=45 DAS, W4=60 DAS W5=75 DAS, W6= weed allowed for whole period). In all sub plots weeds competed with maize for the above mentioned days and were then kept free for the rest of duration through regular hand weeding. Experimental data illustrated highest plant height (220 cm), grain yield (6268 kg ha-1) and biological yield (10189 kg ha-1) from the plots treated with N @ 200 kg ha-1. Furthermore, plots which were kept weed infested throughout the season caused severe yield losses to maize crop. However, weed competition beyond 60 days after sowing caused no significant reduction in yield. So it is recommended that weeding should be done before 30 days after sowing having nitrogen @ 200 kg ha-1 for enhancing grain yield in maize crop. The effects of biochar amendment, CO2 concentration ([CO2]), drought and their interactions on the growth and physiology of maize were investigated. Maize was grown in pots with soil treated with (2%, w/w) or without biochar in one greenhouse chamber at a [CO2] of 400 mol l-1, and in a second chamber at a [CO2] of 800 mol l-1. At 19 days after planting, the plants were subjected to one of two watering regimes for one week, each plant either being well-watered or being drought-stressed by withholding irrigation. Before starting drought treatment, biochar amendment increased root dry biomass (RDM) and the root to shoot ratio (RSR), while CO2 elevation increased leaf area (LA) and specific leaf area (SLA) but decreased the chlorophyll content index (CCI) and stomatal conductance (gs). After drought, elevated [CO2] increased RDM, RSR, LA, SLA and photosynthetic rate (An), but decreased root water potential (Yr). A clear tendency of increasing water use efficiency (WUE) was noticed in maize grown under elevated [CO2] (P =0.080). Biochar amendment reduced evapotranspiration (ET). Drought decreased shoot dry biomass, total dry biomass, LA, An, gs, Yr and ET, but increased intrinsic WUE. It was concluded that elevated [CO2] enhanced maize growth and WUE, and biochar amendment tended to ameliorate some negative effects of drought stress on both growth and physiology under both ambient and elevated [CO2]. This study was conducted to determine certain plant traits and inter-trait relationships in the Helianthemum ledifolium (L.) Miller var. lasiocarpum (Willk.) Bornm. which is grown naturally in the protected area at the campus of Dicle University in 2015 and 2016. Two-year average of the research showed that the plant height was 30.04 cm, the number of main stem per plant was 1.02, the main stem diameter was 1.24 mm, the number of branch per plant was 1.06, the capsule number per plant was 4.04, the capsule diameter was 7.21 mm, the seed number per capsule was 158.5, the seed weight per capsule was 0.065 g, the thousand seed weight was 0.421 g, the seed yield per plant was 0.265 g and the germination rate was 0.5%. According to analysis results belonging to dry forage of the plant, the crude protein ratio was determined as 18.79%, ADF ratio as 26.23%, NDF ratio as 49.21%, calcium ratio as 1.14%, magnesium ratio as 0.04%, phosphor ratio as 0.42% and potassium ratio as 3.79%. 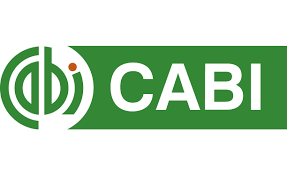 The correlation analysis results showed that positive and highly significant relation was found between seed yield per plant and plant height, branch number per plant, capsule number per plant, number of seeds per capsule, seed weight per capsule traits. To increase seed yield in Helianthemum genotypes, exclusively that traits should be taken into account. Results of the study indicated that forage of Helianthemum ledifolium (L.) Miller var. lasiocarpum (Willk.) Bornm had sufficient digestibility and nutrient contents for livestock. But, it is recommended that new investigations should be carried out in order to determine the content of harmful substances in the forage of these plants for safely using the forages in the livestock feeding. Quantitative parameters for the wheat crop as influenced by different sowing techniques were studied in the present research work. Hence, routine and cross sowings were adopted to check their efficacy for yield attributes in wheat cultivars viz. Inqilab-91, Daman-98 and Dera-98. The research trials were conducted for two years at the experimental area of Faculty of Agriculture, Gomal University, Dera Ismail Khan. The split plot design was used for conducting the trials. The results showed that wheat cultivar Dera 98 produced maximum grain yield in both years of experimentation when cross drill technique (30x30cm2) was adopted. This technique interacted significantly with varieties for plant height, spikes m-2, grains spike-1, 1000 grain weight, biological yield, straw yield and grain yield. All varieties under experimentation showed a significant effect as noted for spikes m-2, spike length, spikelets spike-1, grains spike-1 and 1000-grain weight during both years. High hypomethylation and epigenetic variation in fragmented populations of wild barley (Hordeum brevisubulatum). Five white kernel maize inbred lines with distinct genetic make-up were crossed in a 5 × 5 complete diallel fashion during spring season 2011 at Cereal Crops Research Institute (CCRI), Pirsabak - Nowshera, Pakistan. The resulting 20 F1 hybrids, their five inbred lines and two checks hybrids (OPV 'Jalal' and 'Pioneer hybrid 30K08') were further evaluated during subsequent summer season 2011 at four locations. Present research was designed to study the genetic mechanisms controlling various earliness and yield traits through Hayman’s diallel approach. Genotypes, locations and genotype by environment interactions (GEI) showed significant (p≤0.01) differences for all the traits studied. Significant genotypic differences for various traits justified to carryout the Hayman's genetic analysis. For adequacy, the additive-dominance model was adequate / partially adequate for various traits at all the locations. According to genetic analysis, the key components of genetic variances i.e., additive (D) and dominance components (H1, H2) and average degree of dominance revealed that dominance components were predominant and overdominance type of gene action played an important role in the inheritance of all the traits at different locations. Genetic analysis further revealed unequal proportion of positive (U) and negative (V) alleles in the loci (H2<H1) with asymmetrical distribution of genes in the parental genotypes (H2/4H1 < 0.25) for majority of the traits. Broad sense heritability values were higher for days to 50% tasseling (0.89 to 0.97), days to 50% silking (0.91 to 0.97), ear length (0.86 to 0.99), 1000-grain weight (0.92 to 0.97) and grain yield (0.98 to 0.99), respectively at all the locations. Narrow sense heritability for above traits was low to medium ranging from 0.12 to 0.23, 0.17 to 0.33, 0.13 to 0.36, 0.10 to 0.51 and 0.07 to 0.11, respectively at all the locations. Desirable high genetic gain values were observed for yield traits while for earliness the values were moderate. Due to non-additive genes controlling various traits and high broad sense heritability estimates, the promising F1 hybrids could be developed in future breeding programs for production of early maturing and high yielding maize hybrids and cultivars through selection from later segregating generations. In rice, Oryza sativa, Calcineurin B-Like (OsCBL) protein mediated activation of CBL-Interacting Protein Kinase15 (OsCIPK15) is extremely crucial for plants’ ability to cope up with hypoxic stress. Ten various types of OsCBLs and OsCIPK15 have been implicated in hypoxia, but little is known about the CBL partner that activates CIPK15 signaling. In-silico sequence, structural and functional analyses of OsCBLs and CIPK family members were conducted to explore the OsCBL which binds with and activates OsCIPK15, thus serving as regulatory factor for plant’s response to hypoxia. Sequence analysis revealed four characteristic conserved EF motifs in OsCBL family, whereas OsCIPK15 was found to contain a conserved 128 residue long NAF domain with a highly conserved 18 residue long helical fragment at its N-terminus. Structures of 10 OsCBL proteins and CIPK15 were modeled and protein-protein docking was undertaken to explore binding affinity of each of the ten OsCBL proteins for OsCIPK15. Several binding conformations of OsCBL-CIPK complexes were analyzed estimating their binding affinities on the basis of hydrogen bonding, electrostatic and hydrophobic interactions. OsCBL10 has been found to be the partner in establishing the most stable interaction with OsCIPK15’s NAF domain thereby activating down the stream cascade of molecular events and configuring the plant’s response to hypoxia. Enhanced UV-B radiation has multiple effects on the morphological, physiological, biochemical, and genetic mechanisms of wheat growth. The roots of wheat seedlings treated for different numbers of days with UV-B were studied. UV-B radiation had significant effects on the number of adventitious roots, average root length, root biomass, and root vigor of wheat. Whereas root showed influence of different degree with enhanced UV-B. The best method for extracting root protein among phenyl/ammonium acetate-methanol precipitation, the TCA/acetone method, and the urea/thiourea method was determined. The TCA/acetone precipitation was found to be the best method for extracting root protein by SDS-PAGE. Finally, protein from the roots of wheat exposed to UV-B was extracted using TCA/acetone precipitation. Protein content in the UV-B radiation treatment group (B) was higher than that of the control group (CK) at the early stages of the radiation treatment; with increased time of irradiation, the protein content of B was lower than that of CK. Several researchers examined the production of nano-particles for their potential commercial advantages. Hazardous manufacturing methods of synthesizing nano-particles chemically have directed the research towards biological systems in producing nano-particles. The present study would explore the anti-bacterial property, anti-oxidation and anticancer activities of silver nano-particles with Achillea vermucularis in water extracts under different two temperatures. Furthermore, this study would examine the consequences of silver nano-particles, which affect human health and PC3 cell lines. Silver nano-particles have enormous uses due to their beneficial properties. Silver nano-particles are used in medicinal, industrial, nutritional, cosmetic, detergent, and medical devices. The biologically synthesized Silver nanoparticles were performed with redox. AvAgNPs were also characterized by UV–visible spectroscopy, scanning electron microscopy (SEM), transmission electron microscopy (TEM), Fourier transform infrared spectroscopy (FTIR) and X-ray diffraction (XRD). The biologically synthesized AvAgNPs showed effective antibacterial activity against Gram negative (Escherichia coli) and Gram positive (Liesteria monocytogenes, Staphylococus aureus) bacteria and yeast (Saccormyces ceravisae). WST assay analysis indicated potential anticancer characteristics. Antioxidant activity of all AvAgNPs were determined by total phenolic, total flavonoid, DPPH reduction activity, metal chelating activity, hydrogen peroxide reduction activity tests. Results indicated that AvAgNPs had potential antioxidant activity. Nano-particles collected by green synthesis could be a major source in commercial fields, therefore, silver nano-particles with Achillea vermucularis could be a good approach. The results of the present study demonstrated the potential of green synthesis of silver nanoparticles in reducing toxicity while retaining their antibacterial activities and boosting antioxidant activity of the extract. Shade avoidance is elongation, apical dominance and some other responses of plants adapting to deficiency light intensity. The spindling plants are susceptible to lodging, resulting in productivity and quality decline. Many studies have indicated the effect of phytochrome B as the predominant photoreceptor for negative regulation of shade avoidance. The role of phytochrome A on shade avoidance has not yet been clarified in detail. In this study, we overexpressed ZmPhyA1 gene in maize inbred line 18-599. The T-DNA integration site was found out between the 284557834th and the 284557835th bp of chromosome 1 by genome walking amplification. The plant height, ear height, and leaf length under ear of the transgenic line was significantly higher or longer than the receptor line. Leaf angle under ear was significantly less. These phenotypes were concluded as the positive regulation of the ZmPhyA1 gene to shade avoidance of the receptor line, because no sequence similar to any functional genes, repeated sequences or transposons were found from the flanking sequences from 46 kb upstream to 314 kb downstream of the T-DNA integration site. Therefore, expression suppression of the ZmPhyA1 gene could be employed for photo-biotechnological improvement for dense planting variety. Sugarcane (Saccharum officinarum) is the major source of sugar in Pakistan. Development of new high yielding cane varieties is crucial to enhance its production to meet the ever-increasing demands of sugar. In this study, 41 sugarcane genotypes were evaluated in randomized complete block design in field conditions, with three replications. Seven quantitative characteristics of the crop including stalk height, number of tillers per plant, cane girth, length of the internodes, number of internodes per stalk, weight per stool, and the cane yield were analysed; whereas seven quality related traits (brix%, CCS%, fiber%, sucrose%, purity%, sugar recovery, and sugar yield) were also investigated. The dependency of cane and sugar yield on these parameters was determined through correlation and scatter plot analysis. The analysis of variance revealed significant differences among genotypes for all the characteristics studied. NIA223P3 showed substantial superiority recording highest cane yield of 63.33 t ha-1 against 51.66 t ha-1 of the check (Thatta-10). CSSG-272 surpassed all of the genotypes under study in terms of sugar yield (5.86 t ha-1), while, least sugar yield was observed in S2003SPSG-12 (1.76 t ha-1). Maximum cane height was recorded in BL4P70 (262.0 cm), whereas NIA86-223 exhibited the highest cane girth (2.5). Moreover, regarding juice quality related traits, TSG-21 performed exceptionally good with CCS%, brix%, and sucrose% values of 11.58%, 20.5%, and 16.35%, respectively. Lowest qualitative parameters were, on the other hand, observed in NIA223P3 (CCS%, sucrose%, purity, and sugar recovery values of 5.49%, 9.18%, 68.32%, and 5.16%, respectively). Scatter plots of the data and the correlation analysis depicted that the cane weight, tillers per plant, internode length, and plant height contributed the most towards the cane yield. It was also seen that the quantitative traits were highly correlated with other quantitative traits however, negative correlations were observed among quantitative and qualitative characteristics. The synthetic growth hormone2,4-dichlorophenoxyacetic acid (2,4-D) significantly inhibits shikonin and its derivatives biosynthesis in the medicinal plant Lithospermum erythrorhizon. However, the molecular mechanism of this regulation remains unclear.In this study, we attempt to address this issue by comparing the transcriptome of 2,4-D treated cell cultureswith that of the control (CK). A total of 216 up-regulated and 269 down-regulated genes by 2,4-D were discovered. Gene ontology (GO) enrichment analysis revealed that differentially expressed genes (DEGs) were statistically significantly related to the metabolic process. Pathway classification enrichment analysis further confirmed that the DEGs were mainly related to the secondary metabolism. More importantly, 2,4-D has no effect on the two key enzyme genes ACS and ACO for ethylene biosynthesis. However,2,4-D significantly down-regulated the genes directly involved in ethylene signal transduction pathway (ESTP), including HMA5, EIN3, and ORCA3. 2,4-D also down-regulated two indirect genes, LOX and GA2ox, thereby conferring the jasmonate (JA) and GA biosynthesis, which regulates ESTP by targeting EIN3. By blocking ESTP, 2,4-D finally down-regulated the phenylpropanoid formation-related genes, thereby conferring shikonin and its derivatives biosynthesis. Our findingsprovide new hints for the deep understanding of the molecular mechanism of shikonin formation. The selection of cucumber (Cucumis sativus L.) cultivars with high capability for low-nitrogen (N) tolerance can reduce the production costs and environmental damage caused by N fertilization. The specific biomarker for the objective detection of low-N tolerance in cucumber has not yet been identified. 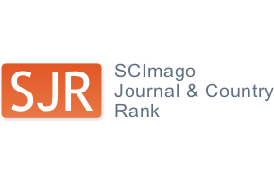 In this study, cucumber chalcone synthase (CsCHS, Csa3G600020) was identified by Solexa sequencing. CsCHS exhibited a consistent upregulated expression pattern owing to low-N tolerance in two cucumber cultivars with different capabilities for low-N tolerance. Results of real-time quantitative polymerase chain reaction further showed that CsCHS had a consistent upregulated expression pattern induced by low-N tolerance in cucumber cultivars with different ecotypes and developmental stages. By referring to CsCHS expression, nitrate (NO3−) concentrations below 5 mM were identified as low-N tolerance in cucumber plants. Overall, results revealed that CsCHS expression was a stable index for detecting low-N tolerance in cucumber. The effects of three media, namely; Murashige and Skoog (MS), Gamborg et al., (B5), and Eeuwens (Y3) were assessed for mass propagation of oil palm (Elaeis guineensis Jacq. var. Dura, Pisifera and Tenera) zygotic embryos In vitro. The experimental design was a 3 x 4 factorial in a completely randomized design with each treatment consisting of ten replicates. While maintaining asepsis, the embryos were cultured on each of the three basal media as well as control which were devoid of salts of the basal media. The growth of oil palm embryos was influenced by the type of media and the variety (Dura, Pisifera and Tenera) involved as all the basal media used, regenerated plantlets directly from mature zygotic embryos of oil palm. For Dura variety, Y3 medium gave the best result in fresh weight, shoot length, leaf area, and number of leaves; B5 medium gave the highest sprout rate and per cent sprouting while MS medium had the best result for root length. For pisifera variety, Y3 medium was significantly superior at p≤0.05 to MS and B5 in fresh weight, shoot length, root length, leaf area, number of leaves, and per cent sprouting while for Tenera variety, B5 medium produced the best results for all the parameters. Dura cultured In vitro on Y3 media was significantly higher in terms of total phenolic content and the scavenging antioxidant activity when compared to other varieties in different basal media. Similarly, In vitro leaf extracts were found to have better antioxidant activity when compared to the extracts from wild leaf. The protocol stated in this work can enable a large amount of true-to-type oil palm plants which can produce better antioxidant when compared to the conventionally grown plants. 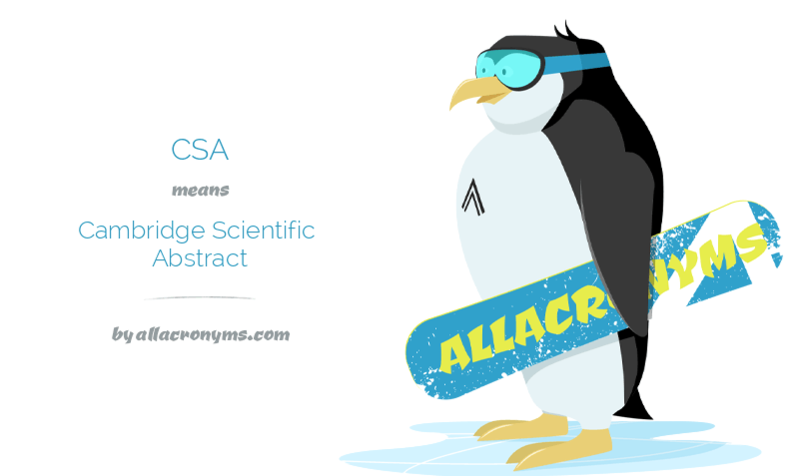 Ascorbic acid (AsA) concentration was determined in Actinidia chinensis var. chinensis ‘Jinyang’ and ‘Hort16A’ during fruit development. AsAconcentration was higher at early stage of fruit development, and then declined with fruit development. The expressions of L-Galactose pathway genes were detected and the results showed GDP-D-mannose pyrophosphorylase 1(GMP1), GDP-D-mannose-3, 5-epimerase 1(GME1) and L-galactose dehydrogenase 1(GDH1) genes transcripts were declined with fruit development. Statistically significant correlations analysis results showed that there were significant positive correlation for GMP1, GME1 and GDH1 expressions with AsA concentration, and the expression level relations between each pair of GMP1, GME1, GDH1 are significant positive correlationin these two species, suggesting that GMP1, GME1 and GDH1 in L-Galactose pathway play important roles in AsA accumulation in A. chinensis var. chinensis. The trend of L-ascorbate oxidase 1 (AO1) gene transcript was corresponding with the AsA concentration, and there was a significant positive correlation between AO1 expression and AsAconcentrationin these two species. The expression of four Monodehydroascorbate reductase (MDHAR) genes and one Dehydroascorbate reductase (DHAR) gene were different between two A. chinensis var. chinensis varieties, predicting that DHAR or MDHAR genes might not key genes for AsA biosynthesis in A. chinensis var. chinensis. 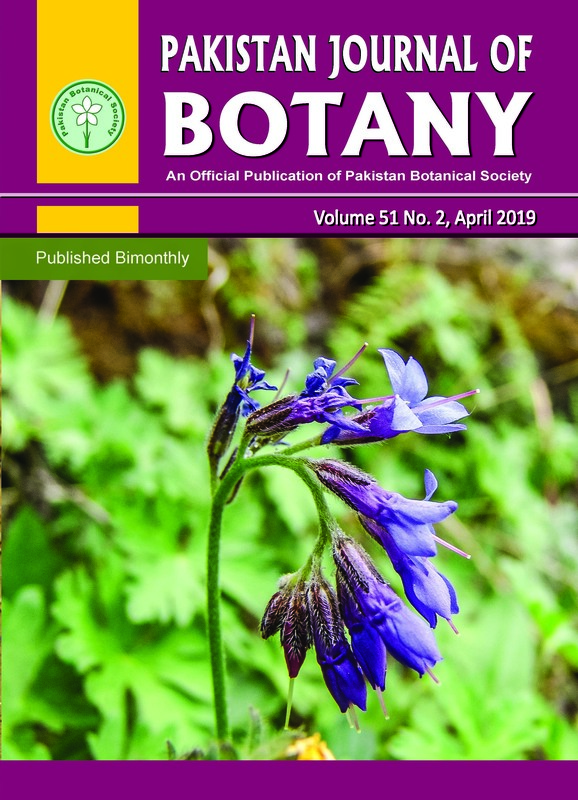 The current study analyzed the diversity of vascular flora in relation to the prevailing environmental gradients of Ayubia National Park (ANP) of 33.2km2 area. The phyto-environmental conditions of ANP were analyzed by multivariate techniques. The data analysis was based on indicator species concept and only presence data were used to classify and ordinate species distribution. The hierarchical clustering by an agglomerative method and ordination by Nonmetric multidimensional scaling (NMDS) identified major plant communities in the Park. The study revealed that some environmental factors have a determining role in defining and shaping the key vegetation classes and species richness in the area. NMDS-Ordination indicated elevation (Pr› 0.001) as highly significant environmental gradient followed by stream power index (Pr› 0.012) and slope length factor (Pr› 0.025) in plant species distribution. The study recommends important phytosociological parameters for species distribution that may facilitate conservation of biodiversity and developing future strategies for mountain ecosystems. The first quantitative picture of the geographical distribution pattern of plant life-form spectra in China using SPSS and ArcGIS is presented. Based on the plant species data in 147 nature reserves across China and Raunkiaerian life-form classification system, we classified those reserves into five clusters using the cluster analysis. We quantified the mean proportions of phanerophytes, chamaephytes, hemicryptophytes, cryptophytes, and therophytes in each cluster to capture the essential life-form spectrum and simulated its geographical pattern at the large-scale in terms of its favorable climate conditions. We found that consistent with the biomes of China, the biological spectrum dominated by phanerophytes was mainly distributed in the subtropical region, and the spectrum dominated by hemicryptophytes concentrated in the temperate region. This full regional picture of Raunkiaerian life-form spectra in China will be helpful in the comprehensive understanding of the flora composition in China and provide theoretical guidance for the forest management and biodiversity conservation in the terrestrial ecosystems. Genome size variation is correlated with altitude within Chinese species of Allium L.
Species in the genus Allium L. (Alliaceae) are important economic crops. They exhibit variations in genome size and basic chromosome number. In the present study, the nuclear genome size of plants sampled from Allium populations was determined using flow cytometry occuring at altitudes from 43 m to 1530 m above sea level (asl) in Hubei province, China. Our results revealed that the values of 2C genome of these Allium populations distributed from 15.10 to 64.65 pg, the significant interspecific variation in the nuclear DNA contents. There is a positive correlation among these Allium population between altitude and genome size. This study will deepen the understanding of the relationship between the nuclear genome size and the habitat altitude in high altitude-dependent plants. Brassica carinata is an important species that shows maximum agro-morphological based variations. The principal component analysis (PCA) is an effective method for the selection of best parent and further improvement of breeding program. In the present research work we evaluated the genetic variability among thirty eight elite genotypes of B. carinata. The data for fourteen agro-morphological quantitative traits were analyzed by PCA and correlation analysis. Our results show that maximum variability was found in the first six principal component (PC) groups that contributed 76.20% of overall variability. Among these PC groups the first PC group accounted for maximum variability (28.54%) as compared to other groups. Among different PC groups the days to flowering traits (from days to flower initiation to completion), pod length/width, height of plant etc. showed highest genetic variability. Some unique highly diverse genotypes were also screened through scatter plot including Chakwal raya, Bc-701, Bc-702, Bc-707, Bc-709, Bc-711, Bc-740, Bc-778, Bc-880 and Bc-881. All the flowering traits, pod length/width, pods/main raceme, thousand seed weight gave positive relation with yield trait. The elite screened genotypes can be useful for further improvement of this important Brassica species. Tanacetum is an important member of the Asteraceae family and considered the most problematic genus and the phylogenetic position of some taxa is of great interest because of the high morphologic diversity and taxonomical complexity. Molecular phylogeny and systematic status of some Tanacetum taxa from Turkey has been carried out. T. heterotomum (endemic), T. cadmeum subsp. orientale (endemic), T. cappadocicum, and T. eginense have not been included in any molecular phylogenetic analysis yet. To determine the phylogenetic relationships and taxonomic status of Tanacetum L. taxa we analysed internal transcribed spacer (ITS) from nuclear ribosomal DNA (nrDNA) and trnL (UAA) intron, intergenic spacer between the trnL (UAA) 3’ exon and trnF (GAA) from chloroplast DNA (cpDNA). According to the phylogenetic trees two main clades were formed. First clade included T. eginense, T. cadmeum subsp. orientale and T. cappadocicum, the other clade included T. heterotomum according to the data based upon the nrDNA. On the other hand, according to the cpDNA data, all four taxa were located in the same branch. 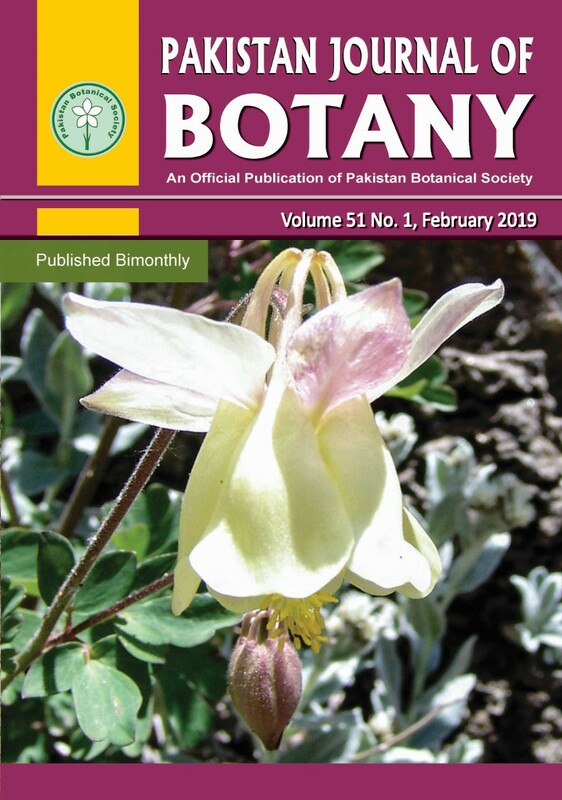 This study was conducted to assess the variability of seed traits in homologous pairs of five Acacia species, i.e., A. asak, A. ehrenbergiana, A. etbaica, A. gerrardii and A. origena, which are naturally distributed in two areas of Saudi Arabia: Asser and Al Baha. Seed traits included length, width, thickness, volume, seed coat thickness and weight, and endosperm weight. The number of intact, infected, and decomposed seeds in the soil were determined too. Significant spatial differences were observed regarding seed volume, seed coat thickness and infected seeds; these three traits were higher in Asser. The widths of A. asak, A. ehrenbergiana, A. etbaica, and A. gerrardii seeds were significantly different between the two locations, with higher values found in Asser. Significant differences in the number of decomposed seeds were found for A. asak, A. etbaica, A. gerrardii and A. origena. Significant variations in seed length were found for A. asak, A. etbaica and A. origena; the seeds tended to be longer in Asser. Seed thickness varied significantly for A. asak, A. etbaica, and A. origena; A. asak and A. etbaica tended to have thicker seeds in Asser. The total seed weight was significantly different for A. ehrenbergiana, A. etbaica and A. origena. Acacia etbaica and A. origena seeds were heavier in Al Baha. The numbers of intact A. ehrenbergiana, A. gerrardii and A. origena seeds were significantly different. Furthermore, the endosperm weight varied significantly for A. etbaica and A. origena with higher weights being observed in Al Baha. The seed coat weight varied only in A. origena. The genus Eritrichium Schrad. comprises about 50 species, mainly distributed in Central Asia and Pan-Himalaya, with a few species in Europe and North America. There are about 43 species in China. The Infrageneric classification of Eritrichiumhas long been controversial and pollen morphology of Eritrichium species is still largely unknown. Furthermore, Boraginaceae is a eurapalynous and its complexity is rare in angiosperms especially in regard of pollen apertures. The aim of our study is to analyze the pollen morphology of Eritrichiumand to evaluate its taxonomic significance. In the present work pollen morphology of 32 taxa belonging to genus Eritrichium have been examined by using scanning electron microscope (SEM). Generally, pollen grains very small to small in size, radially symmetrical, isopolar, 6-heterocolpate, (tricolpate and tricolporate) mostly perprolate, prolate, and rarely subprolate in shape, constricted at the equator rarely without constriction. Exine ornamentation was very uniform among all studied taxa i.e., psilate and perforated at poles only. However, the result showed great diversity within species in regard of the shape of pollen, type of aperture, number and position of pores etc. On the basis of these characters 8 pollen types have been recognized viz. E. laxum-type, E. axilliflorum-type, E. deqinense - type, E. oligocanthum-type, E. minimum-type, E. thymifolium-type, E.hemisphaericum type, and E. sessilifurcatum-type. All the studied characters provide information for correct identification of the morphologically similar taxa. The pollen data can also be helpful for distinguishing taxa, species-level revisions. Pollen morphological studies on 18 species of Dilleniaceae from Thailand were conducted using dehydrated samples under a light microscope as well as scanning electron microscope. The pollen grains are monad, radially symmetrical, and isopolar. The pollen grains are small to medium in size with an equatorial diameter of 15.61-34.51 µm and polar diameter of 13.66-31.39 µm in the equatorial view. Most of the species of the genera Dillenia and Acrotrema are tricolpate, while D. philippinensis and D. ovata are tricolpate or occasionally tetracolpate, whereas the genus Tetracera is tricolporate. Variation is found in the shapes (oblate spheroidal, suboblate, subprolate, and prolate spheroidal), exine sculpturing (punctate, reticulate, regulate, and reticulate-verrucose), distance between the apices of two ectocolpi, colpus length, colpus width, porus length, porus width, and exine thickness. For numerical analysis, 13 qualitative characteristics and five quantitative characteristics were used for the principal component analysis and cluster analysis to determine the potential of the pollen morphological characteristics to be used to determine the species relationships. The results of the two numerical analysis methods showed that pollen morphological data could be used to classify the genera Acrotrema, Dillenia, and Tetracera into groups. Present study is designed to screen fungal species for cellulase production from agricultural wastes and their utilization in industry. A wide variety of fungal species have capability to degrade cellulosic waste materials, but only a small number of fungal species produce cellulase in significant amount. In the given study, twenty three fungal species were collected from various sources belonged to four different genera, and analyzed for cellulolytic activity. Fungal cellulase activity was checked with 1% Congo red dye in alkaline medium to screen and isolate novel fungal species. The diameter of yellow zone indicated the cellulolytic activity of fungal species. Index of Relative enzyme activity (ICMC) depicted high cellulase producing species and low cellulase producing species in different categories. Species of Trichoderma and Humicola revealed maximum cellulase activity as compared to Aspergillus and Penicillium. The specific activity of crude cellulase produced by Aspergillus niger IMMIS1 was 238 U/mg, after Ammonium sulphate precipitation 260 U/mg, after dialysis 334 U/mg and after gel filtration 388 U/mg. Purification fold was increased up to 1 to 1.63 after gel filtration. The cellulase used for the clarification of fruit juices, revealed rise in percentage yield of apple 25%, mango 18%, apricot 9% and peach 14%. Ariel detergent revealed maximum stability for cellulase protein as compared to other local detergents. Lipases are the enzymes of choice for applications in a large number of industries. Present study describes the isolation of potent lipolytic fungal strains and their subsequent production by using shake flasks fermentation technique. The selected isolate was identified as Aspergillus terreus, based on morphological features and 18s rRNA sequencing. Seven different culture media were analyzed for the extracellular lipase production employing A. terreus as the production organism and it was found that M6 gave maximum lipase production i.e., 5.0 U/mL/min in the medium containing (% w/v) MgSO4, 0.05; NaNO3, 0.05; KCl, 0.05; KH2PO4, 0.2; olive oil, 1.0; pH 6.0. Maximum production of lipase (7.66 U/mL/min) was found at a medium pH of 6.0 and an incubation temperature of 30oC after 72 hrs of incubation period. An increase in the lipase production (7.99 U/mL/min) was observed when the production medium was provided with 1.0% peptone, 2.0% glucose and 1.0% olive oil. Ammonium sulphate precipitation was carried out for the partial purification of the lipase and maximum purification of the enzyme was found at 80% saturation level of ammonium sulphate with 1.812 fold purification. Are Plagiothecium cavifolium, P. nemorale and P. succulentum indeed variable species ? This article compiles all available morphological and anatomical data on the gametophyte of three species of Plagiothecium genus which are considered to be the most taxonomically difficult. It presents a range of variation of all the described characteristics of these species and summarises the characteristics considered by individual researchers as taxonomically important. The article shows that among all the features qualitative characteristics related to stem leaves of the described species dominate. Results suggest not only a wide range of variability of the described features or the overlapping of their ranges, but also a lack of clear criteria which could be used to distinguish Plagiothecium cavifolium, P. succulentum and P. nemorale from one another. This research paper is based on the assessment to find the natural substitute of synthetic chemical fungicides and identify the functional group present in methanolic extracts of selected weeds. 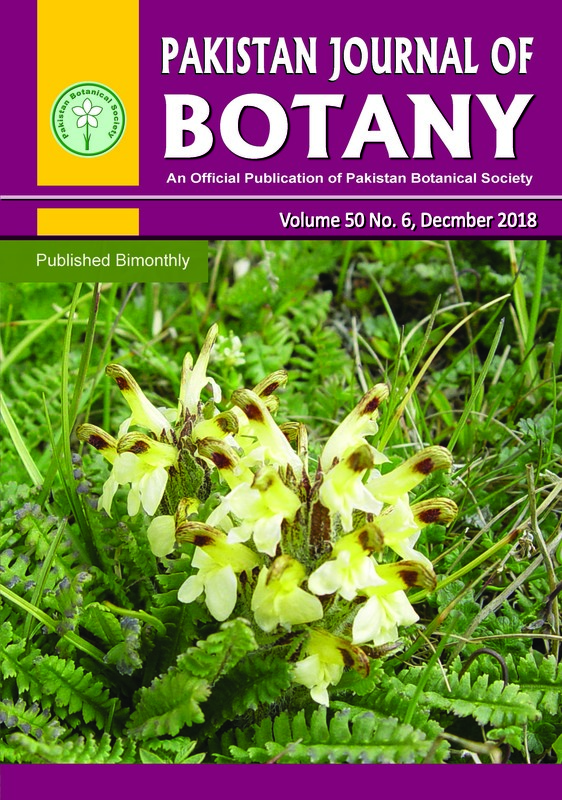 In this study fungicidal assessment is made of four noxious crop-weeds Melilotus indicus, Melilotus alba, Medicago parviflora and Solanum nigrum. The methanolic extract of all the selected weeds were screened for In vitro antifungal activities against the selected soil-borne fungal phytopathogens Rhizoctonia solani, Rhizoctonia oryzae, Fusarium fujikuroi, Fusarium oxysporum, Pythium ultimum and Pyricularia oryzae. Microspectrophotometric assessment technique is used for antifungal evaluation. Minimum inhibitory concentration (MIC) and minimum fungicidal concentration (MFC) of the extracts were determined. Fourier-transform infrared spectroscopy (FTIR) method was used on methanolic extracts for their functional groups detection. Results indicated that growth of all above-mentioned fungal strains was significantly inhibited. The determined values of the weed extract ranged between 0.781-25 mg/mL while MFC values ranges were from 3.125 to 25 mg/ml. The extracts of M. parviflora have shown highest inhibitory activity (119.5%) against P. ultimum while M. indicus extract gave lowest suppression (97%) against F. oxysporum. FTIR spectroscopy of all selected weeds extracts confirms the presence of alkanes, alkynes, carboxylic acids, aldehydes and nitriles functional groups. These results support the potential use of these weed extracts in the management of crops fungal diseases. The experiment was fixed to investigate the effect of copper sulphate (0, 1.5, 3 and 4.5 g/l CuSO4) used as a biological fungicide within fruit trees fields on germination, seedling growth, as well as some mechanisms involved in germination, growth and cell protection processes on the roots of four legume plants: faba bean (Vicia faba), common vetch (Vicia sativa), fenugreek (Trigonella foenum-graecum) and Medicago truncatula. Biometric and physiological results showed that higher copper doses (3 and 4.5 g/l) significantly decreased germination percentage, root growth, total sugar content in all analyzed species. Lipid peroxidation (MDA) content and the activity of some antioxidant enzymes such as superoxide dismutase (SOD), catalase (CAT) and guaïacol peroxidase (GPOX) were markedly increased concomitantly with the increasing copper stress. V. sativa showed relatively high germination percentage, low root and dry weight phytotoxicity compared to other species. It also showed a relatively higher induction of antioxidant enzymes mainly guaïacolcperoxidase. With these results, V. sativa is more copper sulphate-tolerant and could be proposed as suitable candidate used as cover soil for fruit trees fields. Broccoli (Brassica oleracea L. var. italica Plenck) is comparatively a new vegetable crop in Pakistan. Recently, a fungal leaf spot disease was noticed on broccoli plants. In the present study, causal organism of broccoli leaf spot was isolated and identified on morphological as well as molecular bases. Molecular characterization of the pathogen was carried out by nucleotide sequence analysis of rDNA ITS region. Alternaria brassicae (Berck.) Sacc. was identified as causal organism that also fulfilled Koch’s pathogenicity postulates. Methanolic leaf extract (0, 1, 2, 3, 4, 5 mg mL-1) of Syzygium cumini (L.) Skeels was evaluated for its antifungal activity against the isolated fungal pathogen A. brassicae. Various extract concentrations reduced fungal biomass by 4–46% over control. GC-MS analysis of the extract showed seven compounds in the extract. Among these, 9-Octadecenoic acid (Z)-, methyl ester (28.18%), 9, 12-Octadecadienoic acid (Z,Z)-, methyl ester (25.94%), Hexadecanoic acid, methyl ester (18.04%), and Phytol (13.46%) were major compounds. Plant growth promoters such as humic acid (HA) and arbuscular mycorrhizal fungi (AMF) have a great potential in sustainable agriculture, especially under environmental stresses. Although the contribution of bio-stimulants to crop yield has been well documented, however, few studies have been carried out about their effects on medicinal plants. This study was undertaken to evaluate the effect of HA and AMF on milk thistle using multivariate statistical analyses. Results of cluster analysis showed that the combination of AMF and HA led to increase in morphological characteristics as well as yield and yield components, especially, when the plants were irrigated with 75 g•l-1 of HA. Also, content of plant pigments increased remarkably. However, antioxidant enzyme activity and silibinin content was reduced. It seems that application of AMF+ HA reduced environmental stresses through creating a suitable environment for growth, which resulted in decreased antioxidant enzyme activity and silibinin content of the leaves. Lack of attention to forest products’ contribution to socioeconomic status has created a gap between the ecosystem services and its management. To fill this gap, current study has explored the management approaches, value chain activities, trade dynamics and economic potential obtained from the Nuts of medicinal plant Pinus gerardiana Wall. The main objective of the study was to highlight the prevailing gaps in knowledge, discussed the linkages among various players in the market, existing problems in the trade, and formulates future perspectives. Current study was completed with the help a comprehensive survey comprised of two phases. In the first phase, the local harvesters were interviewed about the various dynamics in the trade from harvest to supply to market. While in the second phase, market survey was carried out with traders and dealers to record the prices fluctuations of nut at various level in the market. Current study reports that pine nut is the largest Non Timber Forest Products (NTFPs) with great demand both in national and international market. Local people are unaware of the market linkages and quality standards. Most important value added activity was found to be the roasting activity and which is not done by the local harvester at the study area due to lack of expertise. Significant increase in market prices was recorded along the supply chain. The revenue come from the business is unequally distributed among various agents involved in the value chain. Overall, the business is informal and heterogeneous. Local communities should be educated about the value added activities and market demands. It is equally important to facilitate the local harvesters for finding certain market linkages to make easy their access to the national markets where they gain maximum revenue of medicinal plants and their other valuable forest products. It is the responsibility of state and other organization to help them while addressing the problems by improving the knowledge at the start of supply chain, improving the linkages among all steps in value chain and developing the sustainability at all levels. All over the world, mangroves are considered one of the highly vulnerable forest ecosystems. These are mainly found along the coastlines of tropical and subtropical regions where rivers bring freshwater and silt from the mainland to sea. They provide livelihood and numerous ecosystem services to millions of people living in the deltaic and coastal areas. These forests safeguard the properties, lands and lives of the people from storms, hurricanes and cyclones. They provide important habitats for plants and animal biodiversity. Hundreds of species of mammals, birds, reptiles, fishes, crabs, shrimps, mollusks, barnacles, jellyfishes and other invertebrates depend on mangroves for feeding, breeding, development and shelter. In Pakistan, mangrove forests are dominantly restricted to the Indus Delta which represents 97% of these forests whereas the Balochistan coast only harbors rest of the 3%. Despite their vital importance, the area under mangrove forests is continuously decreasing for the last 50 years, both in the world as well as in Pakistan. The rate of decrease is the highest in Asia and also in Pakistan. Main causes of the decline of the mangrove forests in Pakistan are the reduced freshwater and silt flow into the sea, pollution, fast pace of urbanization and development, global warming, climate change, complex tenure system, and overgrazing and extraction of timber and fuel wood. Time to time, various policies and plans have been initiated by the concerned forest departments, federal agencies, NGOs, and funding organizations leading to protection, management and enhancement of mangrove forests. Local communities have also been involved in almost every programme for implementation and achieving the targets and objectives of various projects. The actual main cause of issue is, however, never been addressed which is the release of environmental flows downstream of dams and barrages constructed on the river Indus and its tributaries. Many new approaches involving widely tested international lines of action, sound research and data collection and data analysis techniques, and use of modern technologies and gadgets like remote sensing and GIS, need to be applied for restoration and regular estimation and monitoring of the mangrove forests. Twenty three chili accessions originating from nine countries including Pakistan were investigated for genetic variability for morphological attributes and total seed protein during the cropping seasons of 2011 and 2012 at National Agricultural Research Centre (NARC), Islamabad, Pakistan. Traits diversity was analyzed by employing statistical tools that revealed not only considerable variation but also grouping on similarities and associations that can accelerate their utilization in research. Considerable differences noted for different morpho-agronomic traits revealed substantial variation for leaf length, plant height, number of locules, fruit width, seed diameter and fruit bearing period. However, pedicel length, fruit wall thickness and number of seeds/fruit displayed low variation in both years. Association among various quantitative parameters based on correlation coefficients was significant. Fruit weight and fruit wall thickness showed significant association with number of fruits, fruit yield per plant, total yield and number of locules. The first three PCs cumulatively contributed 61.44% and 85.88% during 2011 and 2012, respectively. Clustering pattern observed was regardless of their origin. Contrary to variability observed in field evaluation, seed-protein profiling through SDS-PAGE depicted low variation in chili accessions. The genetic variability among chili accessions observed in this study would be a good base line to devise a better crop improvement program in chili.